If you’re currently in the process of updating your bathroom, you may be considering transforming your current space into a wet room. Here at EGP Plumbers, we have been installing bespoke bathrooms for many years. In our latest blog post, we take a look at the benefits of installing a wet room. Step into your very own spa each time you walk into your bathroom. A sleek, floor to ceiling tiled room adds an air of luxury and provides a uniform, clean line appearance. For added comfort, consider adding underfloor heating. Wet rooms can be created in both large and small spaces. The layout of your wet room can be tailored to your exact requirements, meaning you can be as creative as you like. What’s more, wet rooms often provide the feeling of extra space in a room, helping to transform even the smallest of spaces. Wet rooms provide level access to a shower, making them a highly practical and safer option for the elderly or those less able to move around easily. Wet rooms are often easier to clean than a traditional bathroom, particularly if fittings such as the sink and toilet are hung so that the floor space can be easily cleaned without interruption. Just like traditional bathrooms, wet rooms can be tailored to your own style. 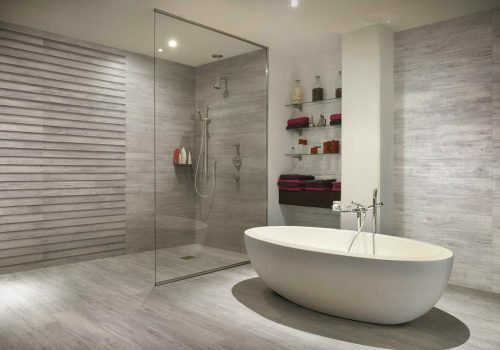 Although a wet room is a modern addition that many buyers would consider an advantage, it is also worth noting that most people want the addition of a bath in their home. Consequently, you may wish to have a bath built into your wet room plans or have a wet room as a second bathroom option. No matter whether you would like to opt for a contemporary or traditional finish, here at EGP Plumbers, we can help. Our trusted team have been supplying and fitting bathrooms for many years and take on full project management for your peace of mind. Speak to us today to turn your ideas in a reality. Please call 0116 264 5115 or send your enquiry through to our online contact form. ← Having Issues with Your Boiler? Having Issues with Your Boiler?